Today my oldest son, Preston, turns 13. A teenager now, he is a bundle of hormones and craziness, with a changing mind and body. To be sure, he has ALWAYS been goofy. He is of my loins, after all. But as he enters the teen years I see in him all the classic pubescent hormonal moodiness that comes part and parcel with this period in his life. When Preston was born and we faced crying nights, active toddler years, and need for sleep as he expressed endless childhood energy, friends with older kids warned me that this was the easiest part of parenting. That when they became teens, kids were so much harder to raise and father; that you can no longer control them in ways you could when they were 2. I was scared when I heard this. Mortified by stories of struggle and frustration. But it hit me yesterday that the struggle and frustration doesn’t come from the child’s perspective, necessarily. It comes from the parents’ view. The next 5 years for Preston will not be easy. They will not be all laughs and cinematic moments of self-discovery. There will be frustration, tears, anger, yelling. All the stuff humans do as they mature, as they grow, as the come to terms with the changes in body and mind and soul. My role in all this? I get to be Preston’s dad as he becomes a man. I get to laugh with him, drive him crazy with my goofiness, be firm when needed, understanding when called for, and consistent at all times. He deserves a dad who will take this journey with him in good cheer, with an affability, and the willingness to suspend my dreams so that he can achieve his. He needs a dad who understands that these emotional and physical changes he is experiencing are not on purpose, or designed to irritate me, but part of his maturation process. That he cannot control most of what it happening to him, so why should I get bent out of shape by this, or take offense? He deserves a dad who will, simply put, be there at any time and for any reason, like my dad was for me. He deserves a dad who “gets” him and smiles my goofy smile as he grows into my son, the man. I never really knew what love was until Preston was born. 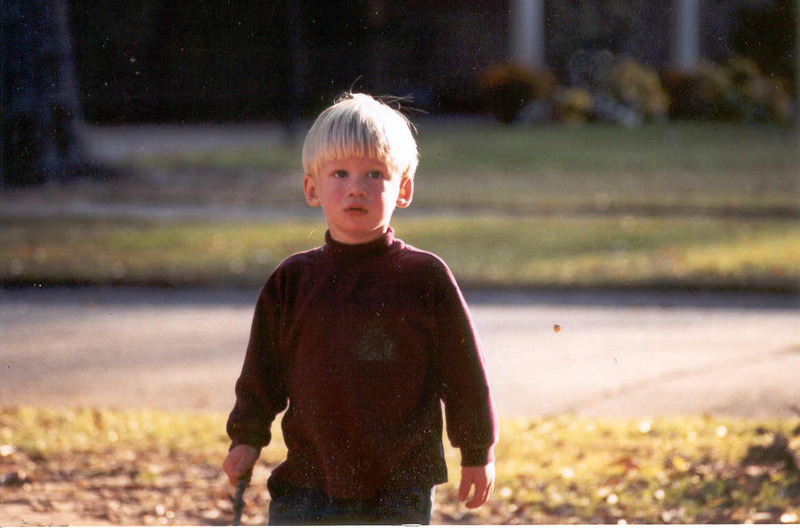 That day, as I looked with wonder upon this beautiful boy, I realized that I would do anything, give anything, sacrifice anything, to secure the safety and happiness of that little boy who brightened my world such that I never imagined possible. Beautifully written Gordon. Reading this made me reflect on the way my own dad treated my brother and I as we grew up. His good humor saw him through our teen years, and his guidance has seen him through our adult years. His antics and goofiness created some of my most treasured childhood and adolesent memories. We weren’t off his blood line, but he chose to love us. (My brother and I are both adopted, from different biological families, before we were both a year old.) My dad (and of course mom too) helped to break down the barrier that we as adopted kids felt with love, compassion, honesty, and good old TLC. The thing I love most about my dad is that his good humor didn’t end with us kids. it is truly a natural part of who he is. Though he’d make an amazing grandfather, there is a good chance he’ll never meet his grandkids. See, in April, Dad was diagnosed with Stage 4 Pancreatic Cancer. The usual life span for this is 6-11months but 16% live beyond this to see 1.5+years. Now before you go feeling sorry for him/us, here’s how Dad took the news. When he found out he had 6 months-1 year left, he celebrated. After all, so many people lose their loved ones suddenly. At least he knows he has time to wrap things up and carpe’ deim. When he found out it was inoperable, he celebrated. After all, who wants to spend MONTHS recovering from a surgery that may or may NOT help? (The Whipple operation is nasty.) His Chemo got delayed one week for insurance reasons. What did he do? Planned a last minute trip to Washington (from CA) to visit me while he is still feeling good. Now, he’s on his 2nd round of chemo and he walked a mile on the treadmill the day after this chemo. His biggest complaint (other than being tired and some minor gastric upset) is being BORED during the Chemo infusions (about 8 hrs 2x month)! In the middle of all of this, when he had the option to just say “poor me”, he hasn’t wasted a second on useless self-pity. I know that no one lives forever, and anything can happen to anyone at any time, leaving an irreplacable hole in our lives, but my dad continues to teach me (even now that I’m 32) that good humor and a positive outlook on life will get you far. He may not get to meet his grandkids (we’re just throwing our wedding in August), but his legacy will certainly live on. I’m sure Preston will feel the same way about all you’re teaching him – just by being you. 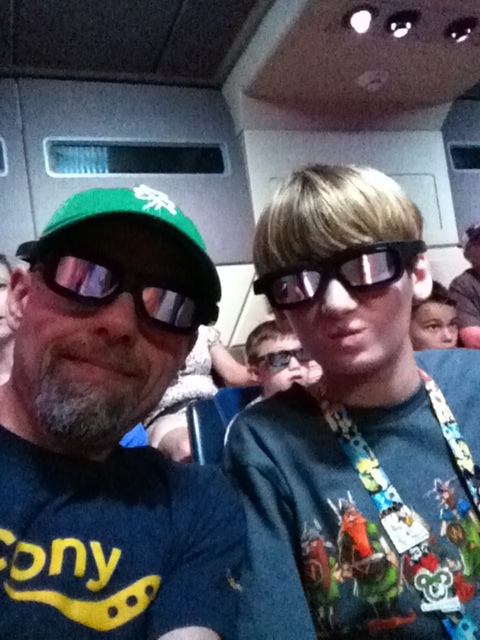 PS – Isn’t the new Star Tours AWESOME?